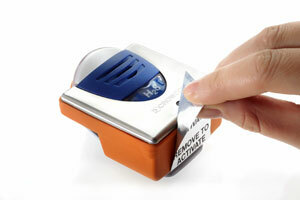 EikonTM is a fixed life personal alarm providing two years of maintenance free continuous monitoring. Tough and rugged, EikonTM is dust and water tight to IP65. Intrinsically safe and available in versions for hydrogen sulphide, carbon monoxide, chlorine, ammonia or for oxygen deficiency monitoring, EikonTM has outstanding audible and visual alarms providing a truly effective warning of hazardous gas conditions. Reliable and durable fixed life monitoring in a compact and maintenance free package. Available in two models, the Crowcon Clip has a 2 year life and is available for hydrogen sulphide (H2S), carbon monoxide (CO) or oxygen (O2). The Crowcon Clip+ has the innovative hibernate function, ideal for contractor or rental fleets where they wish to put the unit into standby mode. Offered for H2S or CO, this unit gives 24 months operation over a period of up to 3 years. The Tetra:3 multi-gas monitor is the newest addition to the Tetra family. 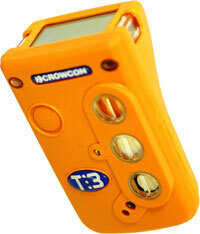 Tetra:3’s single button operation, small size and weight make it the easiest to use gas detector on the market. Based on the proven and highly successful Tetra product, Tetra:3 is designed for use in demanding industrial environments. Despite it’s compact size the Tetra:3 is ultra-rugged and water proof. 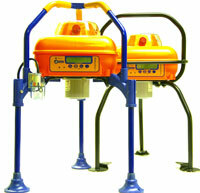 Gas-Pro CSE Monitor is THE confined space entry monitor solution for workers and fleet managers. Offering detection of up to 5 gases in a compact and rugged solution, Gas-Pro has an easy to read top mount display combining ease of use with user focused features. The optional internal pump, activated with the flow plate, takes the pain out of pre-entry testing and allows Gas-Pro to be worn either in pumped or diffusion modes. The Detective+ transportable area monitor is based on the highly successful Triple Plus+ and Detective models, building on the reputation, reliability and versatility of its forebears. Detective+ is inherently rugged and robust, with a sturdy fixed or folding leg protective frame options. Loud and clear alarms can be transmitted between Detective+ units while an optional built in pump allows faster gas response and better sensor protection. Detective+ may now be equipped with infra-red sensor technology, which provides either CO2 detection, or allows higher flammable gas level monitoring and immunity to the poisoning effects which standard flammable gas sensors can suffer from. There are now two options for battery capacity, either 36 hours or 60 hours with standard configuration, providing remote sites with extended usage in-between charges. Couple these features with the wide range of toxic gas sensors available and it makes Detective+ one of the most versatile area monitors available. 55,000 Detective and TriplePlus+ users can't be wrong. Gas?Tec is a portable hydrocarbon detector for rapid survey and leak localisation. 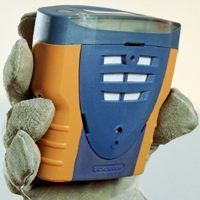 This next generation unit includes full data, event and GPS logging allowing operators the ability to easily store and send survey reports and pinpoint areas of significant interest. 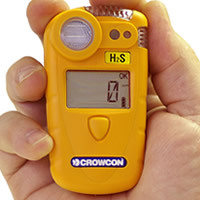 Gas detector for personal safety. Works more then 24 monthes without sensor or battery replacement. Sp12C7 gas detector measures 4 gas concentrations simultaneously (Oxygen O2 0~30%, Carbon Monoxyde СО 0~1,000 ppm, Hydrogen Sulfide H2S 0~200 ppm and Flamable Gas (calibrated for Methane CH4 0~100% LEL). Required to protect users’ safety at dangerous work environments where an explosion accident can occur. Methods of operation and calibration are easy and convenient.Works more then 24 monthes without sensor or battery replacement. 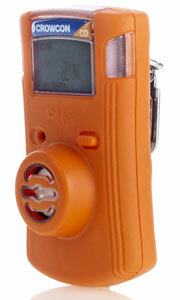 Handheld gas detector for searching leakage of Methane or LPG. Detector works more then 12 hours from fully charged battery, and even more with non-chargeble 2xAA batteries. If concentration of dangerous gas exceeds level of danger, SPsecure indicates it on LCD and sound audible alarm. 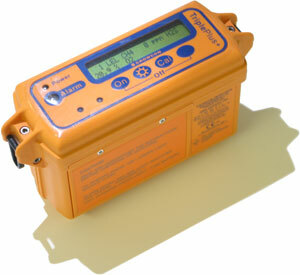 Handheld gas detector for searching leakage of Methane of Hydrogen. Detector works more then 12 hours from fully charged battery, and even more with non-chargeble 2xAA batteries. If concentration of dangerous gas exceeds level of danger, SPsecure indicates it on LCD and sound audible alarm.